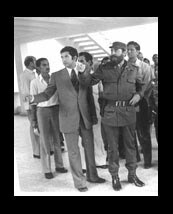 With Castro at the Camagüey Vocational School (1976). The Cuban National Union of Writers and Artists was created in late 1961. In this proscriptive nature we find a certain parallel to the repressive ideologies that in terms of politics have characterized our century. It could be argued that the the official Nazi architecture preferred the neoclassical style. 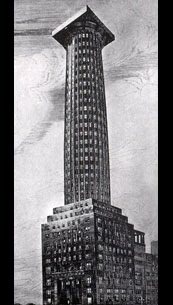 But didn't the very same Loos when it came to represent power -in this case that of the press- in the competition for the headquarters of the Chicago Tribune, propose a skyscraper in the form of a gigantic Doric column? Form obviously "follows function". Alamar: housing development for 130,000 inhabitants built in Eastern Havana from 1971. Cfr. Roberto Segre, op. cit., p. 189. Alongside Roberto Gottardi, founder with Rallo of this discipline, the group had Lucila Fernandez in the areas of Aesthetics, Semantics and Communication, graphic designers Beltran, Niko and Azcuy on Form, and Architects Elmer Lopez and Jesus Sanchez for Module and Symmetry. The subjects of Plane and Spatial Meshes and Color Theory were developed by the author. 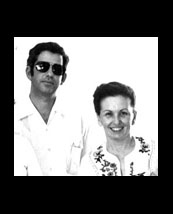 Schnaidt, Maldonado, Bonsiepe and Hesselgren taught courses in Havana during 1972 and 1973. Architect Heriberto Duverger and Designer Maria Teresa Muniz took part in this workshop. Designed under the direction of Josefina Rebellón and Anibal Rodriguez-Hoffman. Cfr. 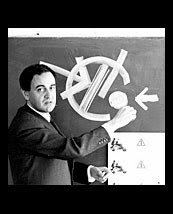 Roberto Segre, op. cit., p. 204. The "General Maximo Gomez" Vocational School was inaugurated in the city of Camagüey on September 1, 1976. In his inaugural speech, President Castro said that: 'by reason of its architecture, at this time it is certainly the best in Cuba' (GRANMA newspaper, september 3, 1976, p. 1). 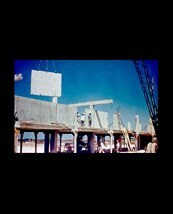 Carlos López Quintanilla collaborated in the project and as consultants, Heriberto Duverger, Alberto Diaz Serpa and Andres Garrudo. Design selected in competition by the Advisory Council for the Development of Monumental and Environmental Sculpture (CODEMA), the realization of which was sponsored by the Italo-Latin American Institute in Rome (1988-89). José Martí, 'Yugo y Estrella' in Obras Completas. (La Habana, 1963-1965) tome 16, p.162. This project was awarded in the competition organized by the Cuban Confederation of Workers and CODEMA in 1989. The park's playground equipment was designed by the sculptor Jorge Romero.